Last summer I was hit with a nasty illness called gouty arthritis which caused my toes to swell to the size of gherkins. Walking was torture. Each step felt like a hot knife stabbing into the joints of my bloated digits. Even the weight of a single cotton sheet bearing down during sleep was unbearable. Why the price disparity? Some products offer CBD at 5 cents per milligram. Others charge four to ten times as much. I am an active, healthy man, but this condition left me feeling hobbled, unhappy and unfashionable. The only shoes I could comfortably wear were Birkenstocks, which just look wrong with a suit. I spent thousands of dollars on dozens of blood tests only to be told by the specialists at NYU’s Langone Medical Center that my best treatment option was Advil. That was not a welcome prescription. Advil and other NSAID anti-inflammatories can, over time, can lead to damaged liver, kidneys, and, in extreme cases, death. An estimated 16,500 Americans die each year from complications related to these drugs. The bigger problem for me was that NSAIDs offered spotty and unreliable relief. 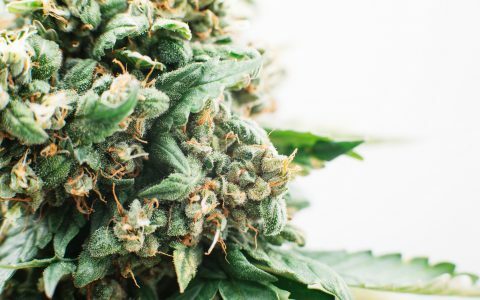 So I looked into a cannabis-based solution. On my next trip to Colorado, I bought some cannabidiol (CBD) tinctures, pills and salves. 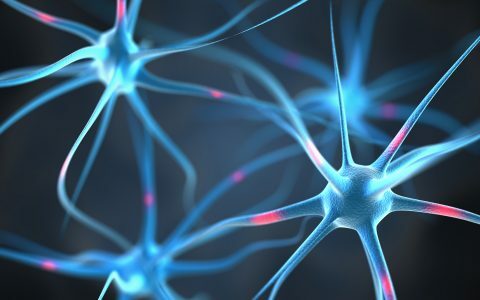 While CBD is no cure for arthritis—nothing can replace the joint lubricating synovial fluid once it diminishes—one 25 ml dose of tincture twice a day under the tongue, plus the occasional puff of CBD oil in a vape pen and the obligatory Omega 3 oils (which, I subsequently learned, optimize the cannabinoid receptors in the body) has noticeably reduced my pain. I am steadier on my feet and back in shoes. But the fact is, when it comes to CBD medications I, like most patients, am groping in the dark. There are no reliable dosage guidelines for specific conditions, nor are there standard measurements, which is confusing when attempting to compare products. Most patients don’t understand which delivery system is optimal: Capsule? Tincture? Flower? What’s more, the complete absence of federal safety regulations means the purity of CBD is always in question. The most confusing and frustrating aspect, though, is the vast disparity in price. Some products offer CBD at 5 cents per milligram. Others charge four times as much—20 cents per mg. One company charges 60 cents per mg! Consider this: Pine Tsunami, a low-THC (4.5%), high-CBD (15.3%) strain of cannabis flower, sells at Vela in Seattle for $184 an ounce. Chanel No.5 Grand Extrait perfume retails online for $276 an ounce. An ounce of HP printer ink goes for about $75 at Staples. A bar of .999 percent pure silver costs $18 an ounce. 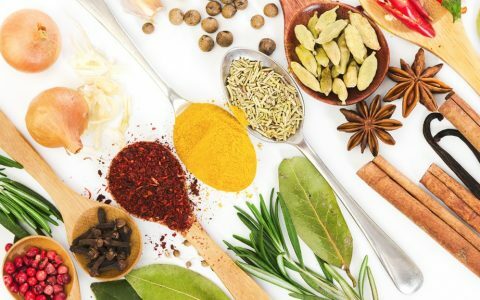 Most medicinal dried herbs retail for under $4 an ounce. Pure CBD, at 10 cents per milligram, carries a consumer cost of $2,835 an ounce—more than twice that of pure gold. What gives? Are some producers turning this medicine into the “weed of greed? Or is the still-lingering weight of prohibition driving prices skyward? As a journalist with piqued curiosity, and a patient seeking reliable medicine at a reasonable price, I decided to investigate. 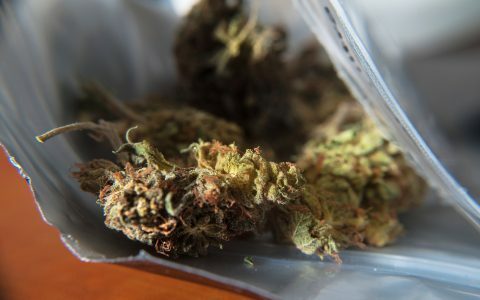 Are some producers turning CBD into the 'weed of greed'? Even as public awareness of CBD’s healing potential has grown, it remains difficult to assess the quality, safety, and, importantly, the origin of most CBD products, thanks to the 80-year federal prohibition of cannabis and the resulting lack of both research and regulation. Until recently, hemp growing and production was banned in the United States. As a result, much of the CBD being used today is extracted from hemp grown in Europe, or in some cases, China. (Google “CBD powder” and Alibaba and see what comes up.) This is troubling. Hemp has an extraordinary ability to absorb toxins from polluted soils—it’s a natural soil remediator. After the 1988 Chernobyl nuclear reactor meltdown, hemp was planted around the contaminated disaster site for exactly that reason. Oils extracted from plants grown near soils contaminated by pesticides or industrial effluents may contain those impurities in concentrated amounts. In today’s CBD market, manufacturers are under no obligation to tell consumers where their hemp was grown or to test it for contaminants. Caveat emptor: Chinese-sourced CBD powder can be ordered in bulk for less than 2¢/mg on Alibaba.com. It's a tough choice for patients: $200/month for CBD or $11/month for Advil. The good news is that it’s increasingly possible to source higher-quality, laboratory-tested CBD derived from organic hemp grown in Western European countries—Austria, Germany, the Netherlands—with strong environmental regulations. 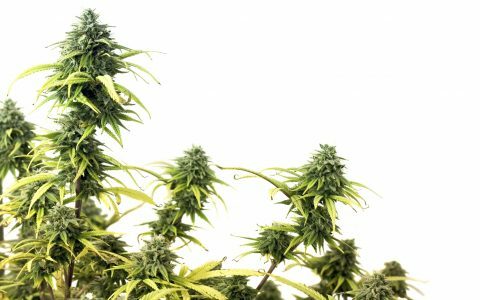 High-quality hemp oils from Europe now wholesale for 0.5 cents to 1 cent per milligram. If encapsulating, bottling, and labeling that oil doubles the production cost, a manufacturer filling a pill bottle with 30 20-mg capsules (a standard dose) and selling that bottle online for $60 (8 cents/mg) is realizing at least a 400% markup. While that may suit American manufacturers, it’s challenging for financially strapped patients who must cough up $200 to $300 a month—the equivalent of a monthly car lease—for CBD meds. In a rational world, health insurance would cover much of that cost. But the federal government still refuses to treat cannabinoid medicine with any sort of rationality. For people on fixed or low incomes, CBD isn’t a sustainable option, especially compared to an NSAID like Advil, which clocks in at about 6 cents per pill, or about $11 per month. 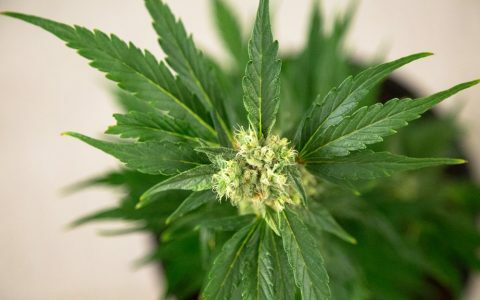 Dr. Lester Grinspoon, the renowned Harvard psychiatrist who wrote the 1972 best seller Marihuana Reconsidered, dubbed medical marijuana “the people’s medicine,” precisely because it could be made economically or grown at home. But at this price, CBD is more of a luxury product than an affordable treatment, less for the people and more for the pashas. I’m a patient, but I’m also a small business owner. I understand the challenge of conducting business in the cannabis space, which in many states is still considered a criminal activity. The media crows about “marijuana millionaires,” but the weight of prohibition can often be crushing to a small business with high startup costs, low revenue, and a fair amount of risk. Federal law doesn't directly address the status of CBD. But the DEA claims it's illegal. 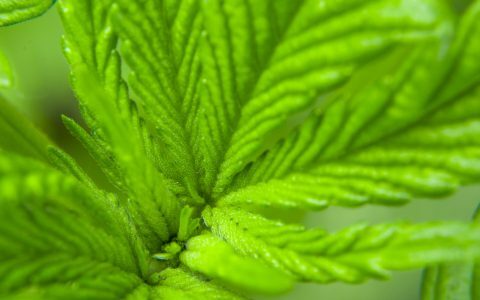 CBD producers shoulder a greater risk than the maker of any “normal channel” medicine. With the Trump administration sending mixed signals on hemp oil—the DEA’s notorious December 2016 Federal Register rule had manufacturers fretting that the government would ban it outright—the risk could suddenly turn hazardous. Still, it’s difficult to fathom why CBD, derived from an easily grown and processed weed, is ten times more expensive than a precious metal. Prohibition imposes a criminal risk factor, certainly. But cocaine carries a far greater risk factor than CBD. And at $100 per gram, cocaine sells for the same exact price—$2,835 per ounce. So legal risk can’t be the only reason. 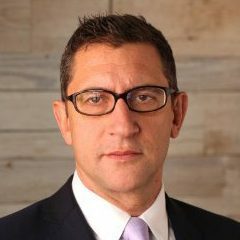 As I asked industry manufacturers, retailers, consumers, and researchers to explain the high price of CBD, five answers were consistently floated: inefficient farming and production, the costs of introducing a new product into an unregulated market, insufficient consumer information, limited patient access, and greed. Modern hemp farmers say that hemp cultivation methods in the United States are antiquated and inefficient. “Farmers spend way too much money using outdated methods on something which grows quite simply,” says Jacob Goldstein, co-founder of two-year-old Green Mountain CBD in Vermont. 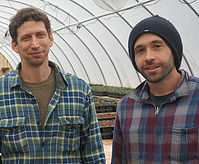 Green Mountain CBD co-founders Jacob Goldstein, right, and Alejandro Bergad. Instead, Green Mountain CBD breeds its own high-CBD seed crops indoors, which, Goldstein says, makes for stronger roots and heartier plants. The company then cultivates the plants on its small, 14-acre farm. Medical marijuana is legal in Vermont, so Green Mountain CBD has fewer concerns about state law enforcement officials raiding the farm. Some hemp farmers in other states haven’t been so fortunate. Other hemp producers use pricey extraction processes, often with harsh solvents such as butane or hexane that require further processing to remove. Green Mountain CBD pares its costs by extracting with coconut oil, which Goldstein claims has the added benefit of enhancing the bioavailability of the CBD in each dose. That all sounds good. Green Mountain CBD doesn’t employ a staff scientist, but does batch-test each crop with a third party lab, ProVerde Laboratories in Milford, Mass. The company posts those results, which include tests for cannabinoids, terpenes, heavy metals, and pesticides, on its web site. The Stanley Brothers’ CW Hemp Capsules. CW Hemp, the Colorado makers of the oil that successfully treated Charlotte Figi, does test its products through a third-party lab. The company also has a staff microbiologist test regularly for molds and other microbes. CW Hemp’s revenues allow the company to voluntarily follow CGMP (Current Good Manufacturing Practice) methods, even though it’s not required. “That’s the gold standard, and it adds costs,” says Jesse Stanley, CW Hemp co-founder and vice president. The company grows its own famously CBD-rich plants. Patients registered with Realm of Caring, the nonprofit group created by the Stanley brothers, can purchase its CBD oil in bulk for as little as 5 cents per milligram. 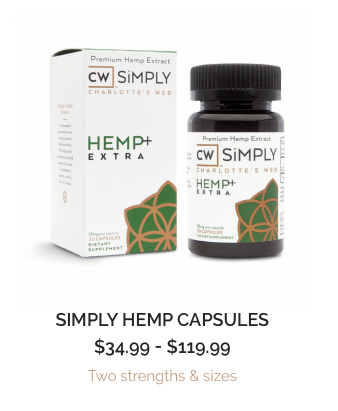 If you’re not registered with Realm of Caring, CW Hemp will ship its CW Simply capsules anywhere in the United States for 6 cents per mg.
It’s hard to know exactly what you’re getting, though, because CW Simply says each capsule contains 15mg of “Charlotte’s Web extract oil.” Does that mean each capsule contains 15mg of CBD? We’re meant to infer it, as Charlotte’s Web is synonymous with low-THC, high-CBD cannabis. Well… possibly. It’s true that the costs of building a trustworthy brand, while unseen by consumers, are not insignificant. In an industry where the usual markers of quality assurance (FDA approval, state-mandated testing) simply don’t exist, brand equity becomes an important indicator of quality. In the absence of an authority to police the brands, though, consumer awareness guarantees nothing. Reputations can be built on unsubstantiated claims. 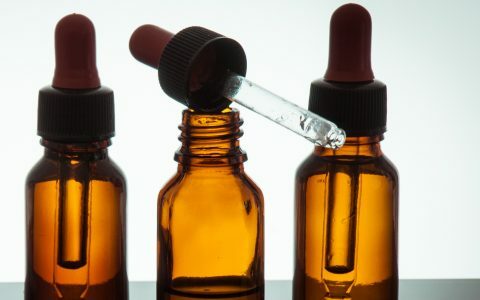 In 2015, the FDA tested 26 CBD products produced in California, Washington, and Arizona and discovered that many contained miniscule amounts of CBD—or none at all. One year later the FDA repeated the test on 22 CBD products from other states: same result. Here’s another way to command a high price: Create sophisticated formulations, package them beautifully, and sell them for a premium. The beauty industry was built on this formula. Most of the $300 potions on the shelves at Sephora cost about $2 to make, according to Perry Romanowski. Romanowski is a cosmetic chemist and co-founder of BeautyBrains.com, a site that educates consumers about the science behind the cosmetic industry. CBD companies know this strategy well. 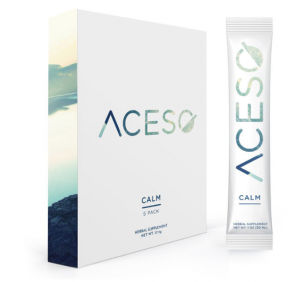 Dixie’s Aceso brand: CBD only, in a beverage powder. 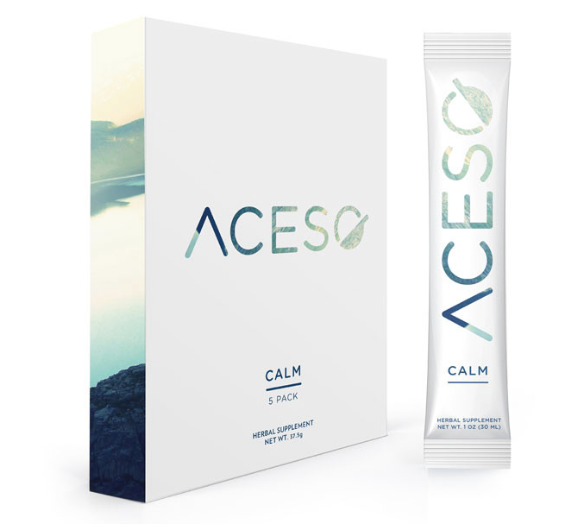 Aceso Calm certainly smells luxurious. But are those terpenes an integral part of a medically effective entourage effect, working in harmony with the CBD—or do they just please the olfactory sense? They jury’s still out, again, due to the lack of scientific studies. We do know one thing for sure: The addition of terpenes do enhance the cost. Even if those supplementary ingredients equal the costs of CBD, though, Dixie’s products are still three to four times the price of Green Mountain’s. To give Dixie its due, the company spends a lot of money double-testing every batch of imported CBD oil for heavy metals, pesticides, microbes, and solvents—once when the oil arrives at their facility, and again after the final product is assembled. “We don’t trust anyone in this business,” Forstmann says. 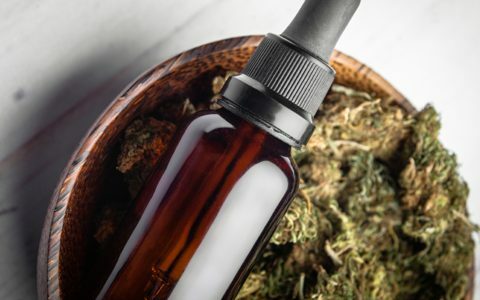 Unlike the other manufacturers surveyed in this article, Aunt Zelda’s, a small patient collective based in Bodega Bay, CA, makes its CBD tinctures and balms using cannabis flower, which is usually about two to four times more expensive than hemp. Their CBD oils, which are typically blended with THC, cost 2.25 cents per mg to manufacture, and that cost includes lab testing, tinted bottles, packaging, compliance, labor, rent, and utilities. Unlike most CBD manufacturers, Aunt Zelda’s posts its independent lab test results online. A 600-mg bottle of their CBD-THC oil costs $13.50 to produce. It wholesales for $27. California distributors tack on another 30%, which ratchets the price up to $34. Dispensaries double that—a typical markup in any retail business—to about $70. Aunt Zelda’s delivers CBD to the patient at 11.6 cents per mg—but only in California. Because their oils contain more than 0.3% THC, they sell only to authorized California medical cannabis patients. And it’s not easy for patients to find; retail partners listed on Zelda’s website do not actually list Zelda’s CBD on their own menus. Aunt Zelda’s might make some of the highest-quality CBD in America, but it’s extremely difficult for most patients buy. Today's CBD market is young and unnaturally warped by prohibition. As it matures, prices will stabilize—and hopefully decline. Aunt Zelda’s is a nonprofit patient-based service. Revenue is important, but it’s not the sole driver of the operation. That raises a question. If Zelda’s meticulously crafted, high-end cannabis-sourced product sells for 11.6 cents per mg, how can a bottle of CBD tincture made from imported hemp oil, of unknown quality and purity, sell online for a higher price? The answer can be found in a complicated mix of factors. Today’s CBD market is young. Four years ago it was practically nonexistent. 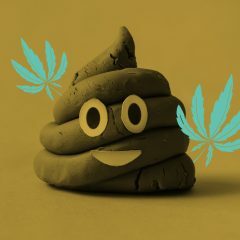 It’s also unnaturally warped by cannabis prohibition, legal uncertainties, the absence of FDA regulations, and insufficient consumer information and access. Some companies are producing high-quality, locally sourced, lab-tested, and toxin-free CBD. Others may be importing cheap hemp oil of unknown quality and slapping a CBD label on a bottle. It’s extremely difficult for patients to know the difference. Aunt Zelda’s produces excellent CBD guaranteed by lab results—but almost nobody outside California can buy it. Manufacturers are rushing in with products and tossing out prices to see what sticks. If you believe in market efficiency, a middle price zone will eventually emerge when today’s massive inefficiencies subside. Companies will learn how to increase their quality and decrease their prices and still turn a profit. Gordon Baker, a medical cannabis researcher and patient advocate, contributed to this report. Right? A year ago you had no clue this would explode. Bluebird Botanicals does not grow their own hemp or cannabis and they were cited by the FDA in the list mentioned in this article. Based on that, I would stay away from all Bluebird Botanicals’ products. You should only purchase CBD from brands that grow their own plants. Thank you for the advice. I was aware that they were outsourcing when I ordered from them, but I didn’t realize at the time there were so many other options. A friend who has had good results referred me to them, and my son was seeing good results from the one 30ml bottle he’s tried. So we’re going to stick with CBD, but I am currently researching other companies. That’s what brought me here. It’s very confusing and the cost is all over the place. Infinite cbd, not sure why listed them at such a high price. The sublingual drops are a good choice for a kid or anyone. It is almost tasteless with a hint of coconut and a few drops in whatever he is eating or drinking would go un noticed completely but sublingual with have a quicker effect and wash the rest down for the long term effect. 2500mg 30ml bottle has 7.5 mg per drop and has lased me quite some time and its only 80 bucks and less if you wait for a sale on the facebook page from 10-20%,5000mg for 140. The isolate if fat soluable, so it is good to cook with as well(low temp or add after heating) or you can make your own drops with some good coconut oil at 90 bucks for 3.5 grams. So where does Infinite get their Hemp? Their site says it is outsourced “globally”. Ask them if it is a concern. I failed to find where it said “globally” but the facebook page says CO grown which they are based out of Denver. We source all of our hemp from licensed farmers in the state of Colorado that we have relationships with. From there we process all of our own Industrial Hemp and Isolate our CBD down to 99.94% for our amazing products. Let us know if you have any other questions and we will be sure to help. 1) We work very closely with the farms we source from here in CO. And they’re great. It just doesn’t make sense for us to vertically integrate at this point because our farmers are doing beautiful work with the plants and offer us a very fair price. 2) We weren’t cited by the FDA. 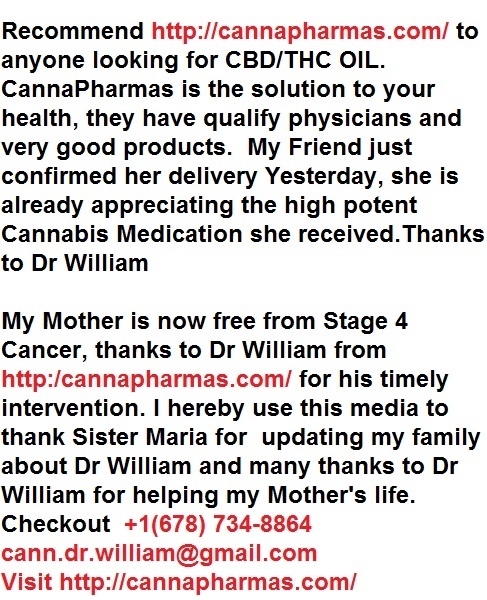 Had you actually read the article referenced, you would find that one of our wholesalers were the ones making medical claims and received a letter from the FDA. The product of ours that was tested by them revealed the exact amount of CBD we were advertising. Would be great if manufacturers transferred that very fair price to the consumer. wish I could afford it! Why not try Green Mountain CBD? I sure hope whoever the author saw regarding his gout gave him more advice than “take Advil”. Gout is essentially a dysfunction in purine metabolism that results in the precipitation of uric acid crystals in the joints. The resulting inflammatory process can lead to severe joint destruction. Dietary changes can help control it–that information is all over the Web. Just reducing the perception of the pain, whether through OTC or RX analgesics or CBD would be similar to, over time, walking around on a fractured toe without any other treatment. That said, if CBD, by whatever method of delivery, provides pain relief to this condition which often interrupts sleep from simply having a sheet rub across the affected joint, it should be used to maintain a more normal sleep cycle. I changed my diet, took meds, and the only thing that worked for me was organic PURE tart cherry juice ( it also helps with sleep). Nothing but tart cherry juice. The answer is simple. The vast majority of these profiteers are ripping of patients by pushing sub therapeutic hemp extracts. While in certain cases an isolate might prove beneficial, there is nothing like the real thing, Mother knows best. The entourage effect is still the rule, not the exception. Beware of geeks bearing ‘gifts’. Do your own research. Know your supplier. Know yourself. Extreme caution buying anything on-line, you will be in shark infested waters. Just my 2c. Patrick Monk.RN. Hopice Case Manager. SF. Ca. You really need to quit the Kratom trolling. Mallic acid in cherries is active ingredient. Cheaper to buy mallic acid. TheCBDistillery isnt on there? They are at $0.04 a mg. I love their 1000mg tincture!! Wow, such great information! I have wondered about many of the same things, especially when I am trying to purchase Full Flower CBD products vs. Hemp Oil. Thank YOu. You’ve given me places to start looking and wishing I was In California, as Arizona dispensaries, except for 1, don’t seem to care about their CBD patients. They throw out expensive, really expensive, hemp oil to patients in need, telling them all, this is the best stuff – and most of it just does not work. And I would always wonder just how much real CBD is in any given product. ALICE STEINKE, I live in Phoenix. Please tell me that name of that ONE DISPENSARY that actually seems to care about their CBD patients. Alice, I too live in AZ. Would love to know which dispensary you are taking about. That one, has also dropped their inventory of CBD products by 75%. There is one that does regularly carry CBD flower AC/DC – The Giving Tree. Otherwise whenever I need CBD products, I am back on Leafly and dispensary menus still searching. And the downside is that dispensary menus are not kept up to date with their CBD products. They often do not indicate if the product is hemp oil or full flower CBD. And even when they do, they don’t tell you the percentage of CBD, or the strain of the CBD product. This is absolutely poor customer service. Of course you can call the 20 or so dispensaries to ask exactly what is on the shelf before driving, but most people who answer the phones often give out wrong information. I wish you good luck. And please, for every dispensary you contact or visit, make sure they know how important CBD products are to you and thank them for carrying them! Advil will do damage to your liver. Cannabis will not. Cannabis and more precisely, THC does make anxiety worse in some people. CBD alone or with a nice ACDC, Harle-Tsu, Remedy and Susy Q type of pot with help anxiety with those who dont do well with the head high. Anxiety is a head high in of itself and for me only gets worse with high THC, But i love my CBD and CBD strains. To each his own. I believe that mostly this is the type of cannabis as well as the dosage. I get extreme anxiety from certain strains, and/or if i have too much. a very small amount of the right strain will always make my day though. incidentally my favorite strains are always low thc high CBD so I’m not really disagreeing with you there. Kratom is a better improvement. Thank you for writing this very important and timely piece. I’m the Co-owner of Good Body Products that sells 100% organic certified body care products, two of which are CBD-based. We are very proud of the process we have developed to ensure our CBD-based products are of the highest quality. We visit the crops in the field with our farmer. We test during the grow and at harvest. We dry and then perform meticulous processing of the botanicals. This product is then sent to one of VT’s licensed medical dispensaries for supercritical CO2 extraction (solvent free!). They ensure we are returned a potent CBD extract oil, which we blend into two of our topicals: our Green Power Salve 130mg CBD and our Whipped Wonder Butter 165mg CBD, both in 2 oz jar. We offer information and testers of these products on Saturdays at the Brattleboro Area Farmers’ Market. We can’t say it enough: KNOW YOUR FARMER! It takes time to grow weed, often the variable that growers want to see in pricing reflects the time and money they put into each strain. If a strain takes a month longer than another to grow, but it has 5% less THC, you still want to charge more for it to make up for the time and money. Dig? The website is a neat one. Very good company by the way. Cbd Rich oil has literally changed my life. I experience severe chronic pain because of disability. Cbd rich oil came to my rescue. I was able to abandon some strong opiates, and my health is doing just fine. Highly recommend! 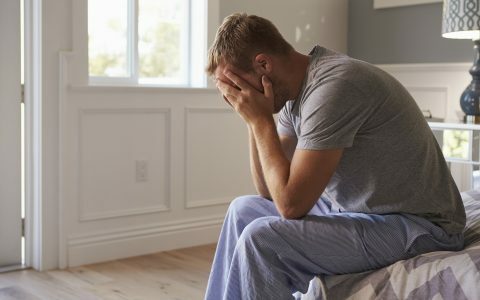 Why didn’t you try kratom!?! It’s a better pain reliever than CBD plus it’s less expensive. Your constant repeating of this is quite suspicious. Kratom has sent some people to emergency rooms and there have been calls to poison control centers in the US. Most of the adverse effects of this drug have been felt in Malaysia, Myanmar and Thailand where it is heavily used. Kratom is cheaper and more effective fyi. You own it or invested in it? You missed Palmetto Harmony. Bar none the best quality CBD oil at market. Meet and befriend people who are curious, discerning, sensitive, and attentive. They (we) rely far less on third parties to determine quality. A quality product benefits you, and if you’re attentive and sensitive enough, you can tell. If you’re discerning, you will abandon lower quality products even if A) Your friends recommend them, B) You paid a lot for them, C) They are excellently marketed, D) You’ve seen VERY attractive people use them and claim they are great, or even E) Reselling them (MLMs abound!) looks like a good way to make money. There are substances that we slowly accumulate in our bodies (glyphosate, from plants that have been GMO’d to tolerate pesticides and herbicides that contain it, for example) which damage us. 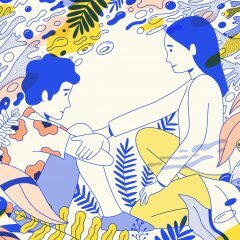 It’s possible to sense when you’re ingesting more, but not easy, and that’s a case where it makes sense to find a good third party (see https://www.nongmoproject.org/ which is currently trustworthy (in my opinion) but may eventually fall prey to the perfidy that reliance on authority creates). As for CBD from hemp grown near Chernobyl, what toxins might we find in it besides some radioactive stuff, and how radioactive is it? How many old-style (non-digital) X-Rays would you need to get the same radiation dose as you would from eating a few grams (that’s 150 20mg doses) of CBD from Chernobyl hemp? Reliance on authority is great when the authority is the result of experience, honor, and knowledge. Reliance on political authority (the FDA, for example) is NOT. I mention this here because for me, the fear of being punished (by authorities of some sort) is the underlying cause of the vast majority of suffering for humanity. 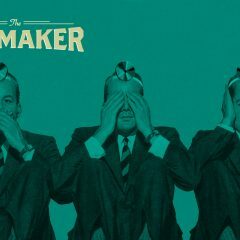 Yes, I know that the fear of punishments protects a lot of people from cheaters – maybe you too – but we lose far more by abdicating to political authorities our responsibility to be curious, discerning, sensitive, and attentive than we do if we spend the time to rebuild and learn to rely on those skills of independence. I have serious spine problems, RA, and diverticulosis. I order what would be considered a middle-priced CBD oil, supposed to be organic and non GMO,1000mg for 1 oz., but it’s expensive for ME. Insurance doesn’t cover it. I don’t have a vehicle, which I need, but I spend, instead, the money that would go towards car payments, for CBD oil. It’s that or opiods, which I don’t want. There is so much conflicting info about CBD oil, that I’m not really sure what I am getting, but it does help! Frustrating! Green Roads is now $85 for a 550 mg bottle. Not sure how the author figures out price but it looks to have almost tripled..
so if its 1g o cbd in 1oz of oil what % is it?